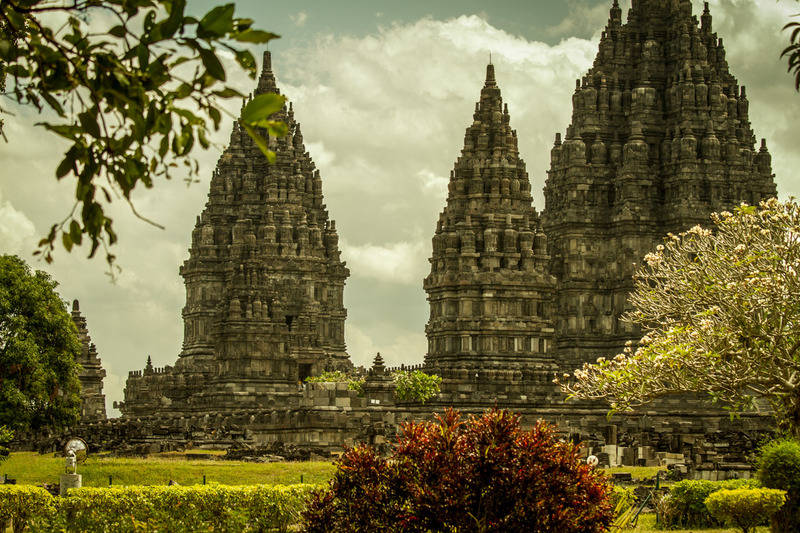 Can you imagine an outstanding temple like the Prambanan was forgotten for many centuries? Well, I couldn't believe it. Built around 850, its decay began right after the construction was finished and lasted until 1918. 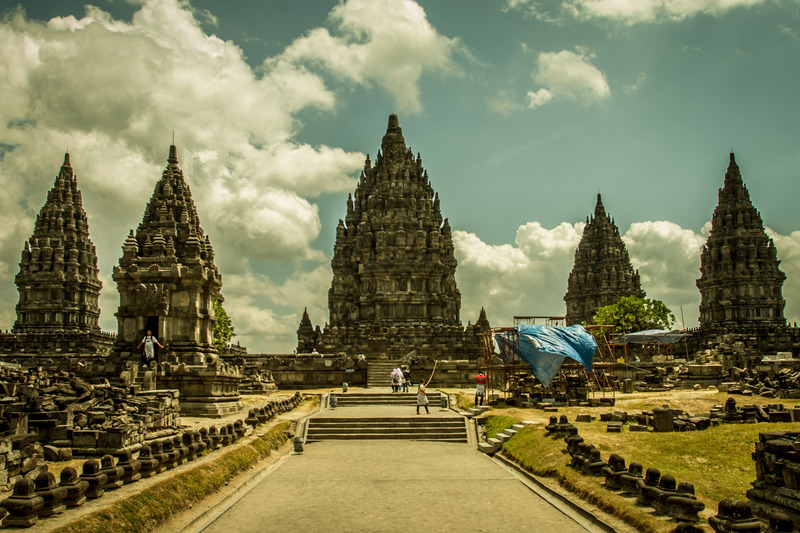 Knowing that Prambanan is not only Indonesias largest Hindu temple and one of the biggest in Southeast Asia, but was rewarded as an UNESCO World Heritage Site, doesn’t make it easier to understand. So welcome to Javas most popular Hindu temple! 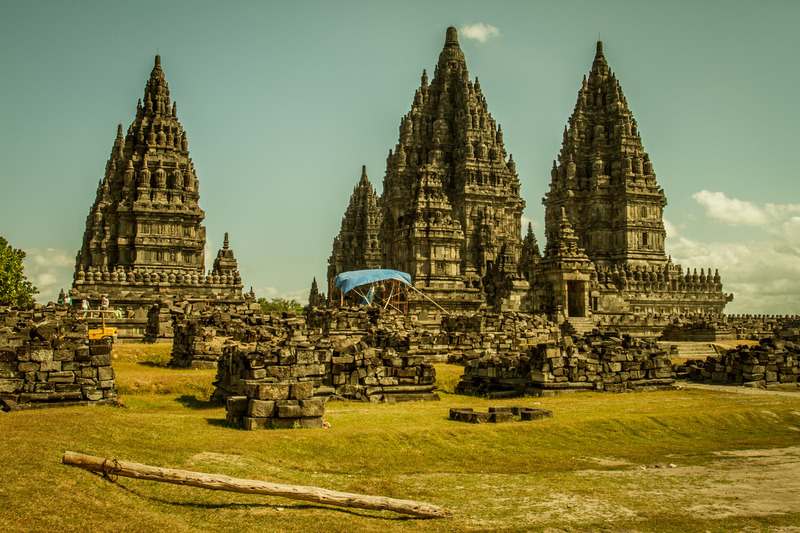 The Prambanan temple is located approximately 17 kilometres northeast of Yogyakarta. Many agencies offer day trips to the so called Candi Prambanan, but it is very easy to find by public bus. I can really recommend to do it on your own. This gives you the chance to stay longer and enjoy the surroundings of the temple. 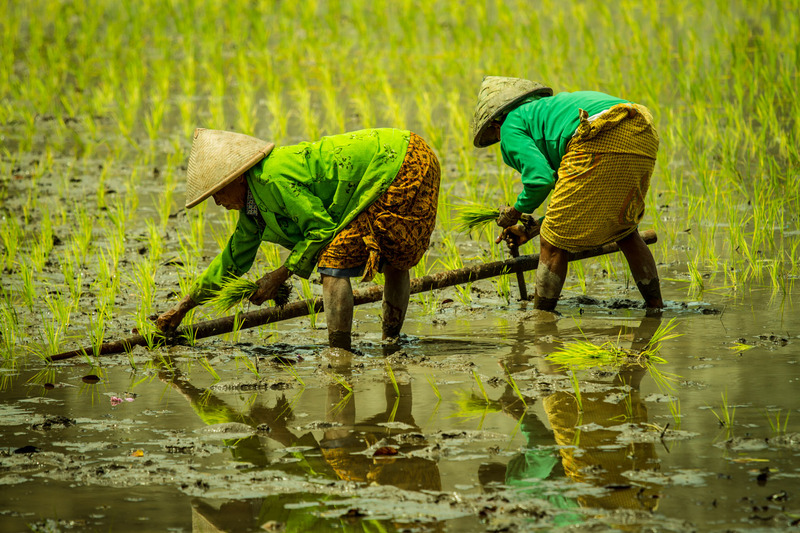 We were lucky sighting these two women planting rice seedlings and finally understood where those straight plant lines originate from. 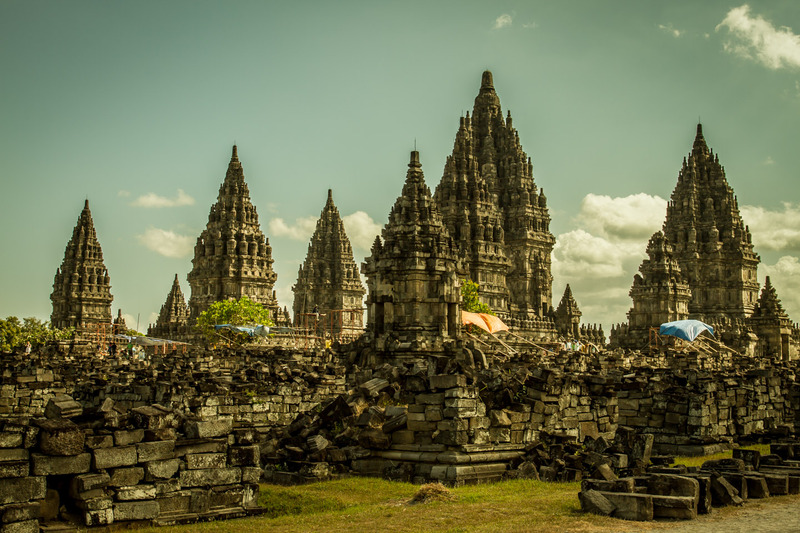 Historians suggest that the construction of Prambanan probably was meant to put the Hindu Sanjaya Dynasty back in power. 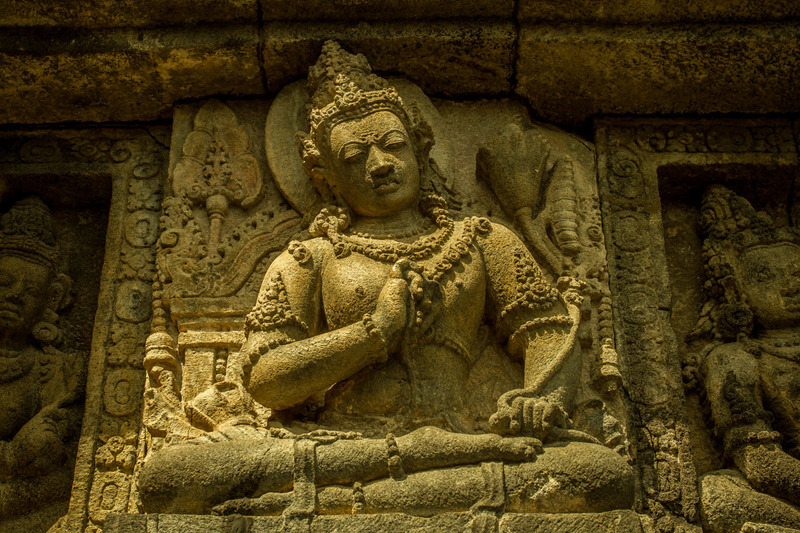 Before central Java was dominated for almost a century by the Buddhist Sailendra Dynasty. Nevertheless it was soon abandoned, probably after an eruption of the nearby Volcano Mount Merapi. In the 16th century there has been a major earthquake, which finally caused the collapse of the temples. The left ruins were still recognizable. The locals in the surrounding area were aware of them, but the historical background was forgotten. 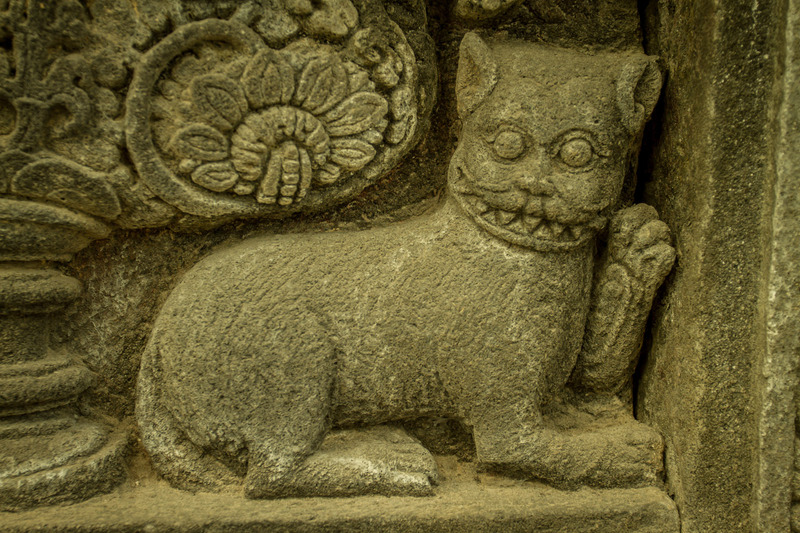 Soon a lot of tales and legends about the Prambanan temple were born. Till this day they are told and alive. The site accommodates 8 shrines and 250 smaller single temples. Well today, instead of temples you will find heap of ruins, but that's breathtaking already. However it's very sad that we won't be able to get a little insight on the temple complex and the life of the people during the ancient days. The three biggest shrines of the site were dedicated to the three hindu gods Shiva the destroyer, Vishnu the preserver and Brahma the creator. These three Trimurti temples represent the hindu gods trinity. In front of each Trimurti temple stands a Vahana temple. Each god has a Vahana, an animal or mythical entity, used for transportation. Nandi is the Vahana and servant of shiva, Garuda is riding Vishnu and Hamsa belongs to Brahma. Since 1918 Prambanan is under reconstruction, which seems like a huge puzzle. Stones from the temples were taken away for many centuries and were used for other constructions. Till today stones are missing or couldn’t be matched rightly. The reconstruction of each temple will not start before 75% of its basic structure will be found. Some of the shrines are still closed because of danger to collapse. Others are accessible and offer you outstanding statues in a mystic atmosphere. Candi Prambanan is definitely a must see in Java. 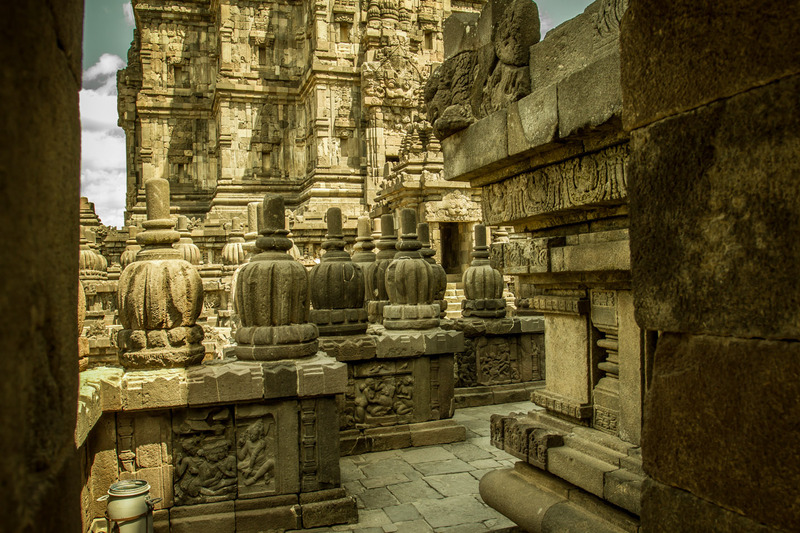 It gives you a good idea of ancient architecture and the worship of hindu gods. 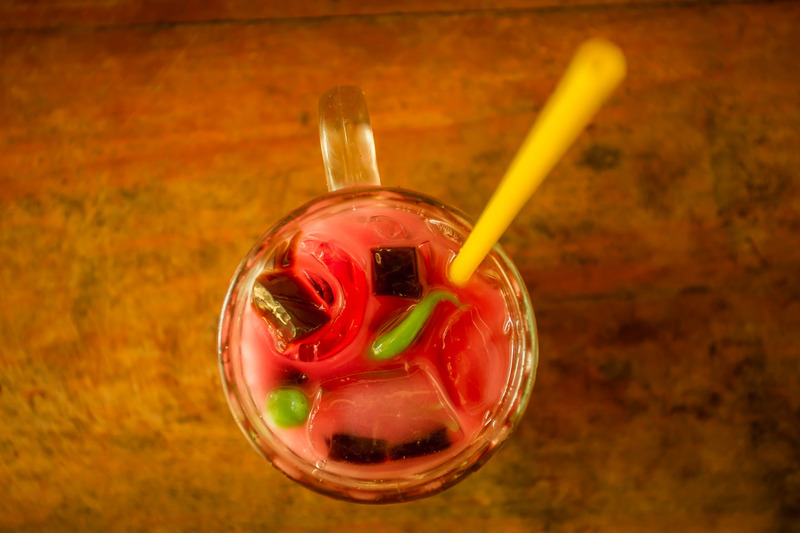 After a long tour around the Prambanan temple you might be in need of a refreshment like this fancy drink. You will find them at the exit area, but take my advice and wait a bit. 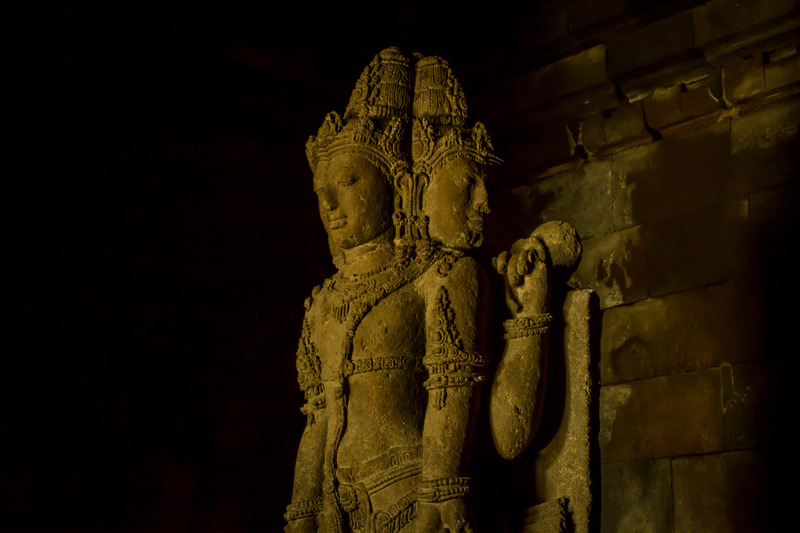 Before you might want to leave the temple site you have to see the Candi Sewu. You will not believe it, but there is a second complex waiting for you. 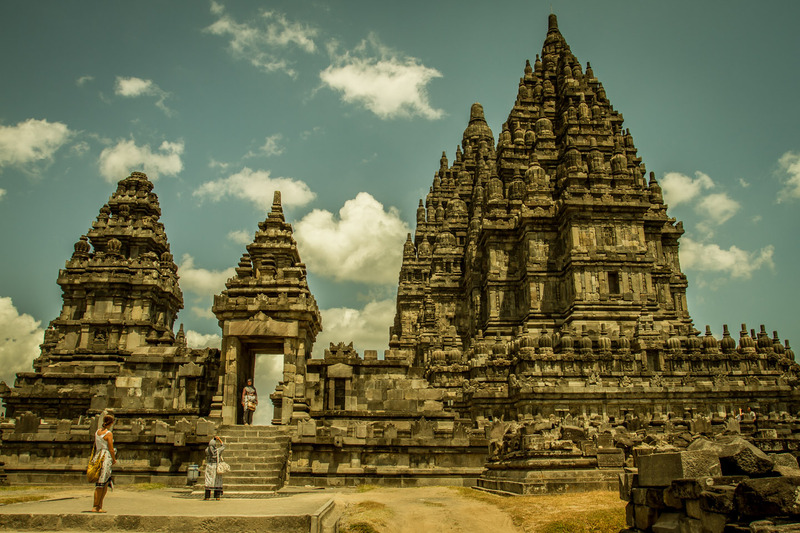 It is nearly as big as Candi Prambanan just without the compulsive crowds of tourists. I'm sure a lot of people just don't know, that there is another temple. The good news is: If you are tired after your tour around Prambanan, you don't have to walk anymore. 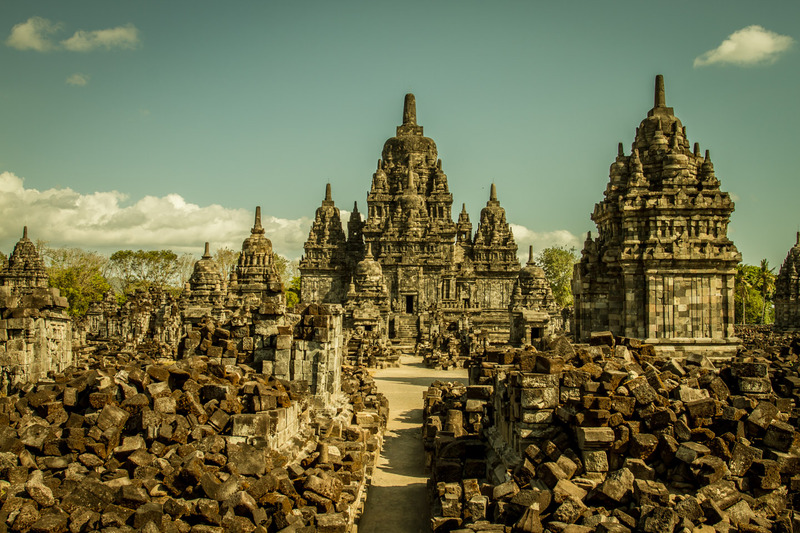 Candi Sewu is located 800 meters north of Prambanan and you can jump on a small train taking you there. 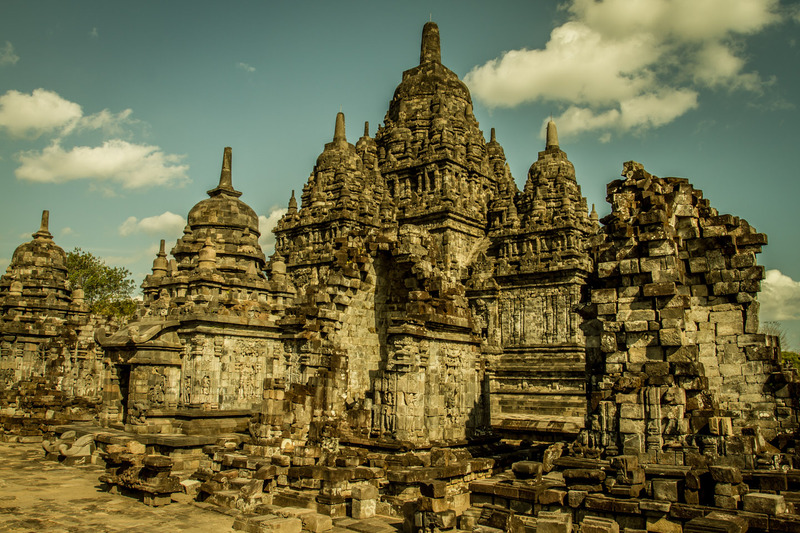 Even though Candi Sewu might remind you of Prambanan, it is buddhist and not hindu. 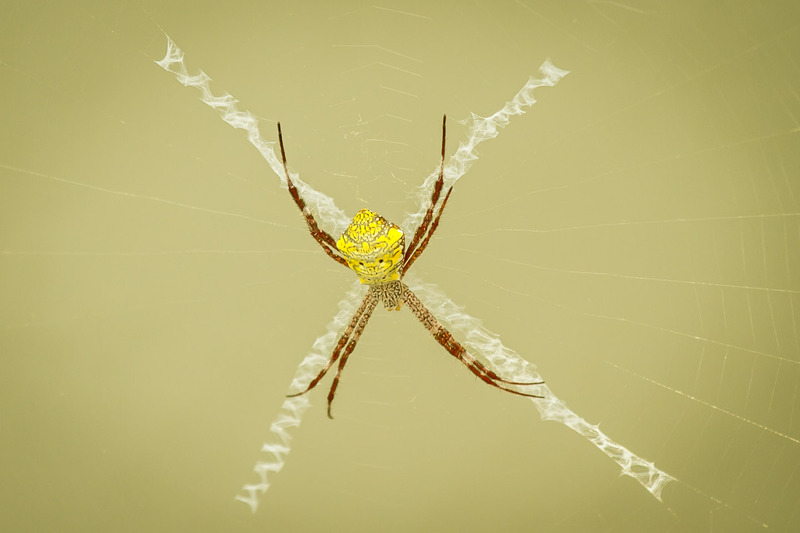 This is an Andrew's Cross Spider, the last thing we saw before leaving Prambanan. It made us saying goodbye to this extraordinary complex a little easier and I am more than happy we could leave it behind.